Support your favorite team by hanging up this two-sided collegiate premium 2-sided banner. This 28 in. x 40 in. banner is made of durable, heavy-duty 150-denier polyester and has a 2 in. Pole sleeve so it is easy to hang. 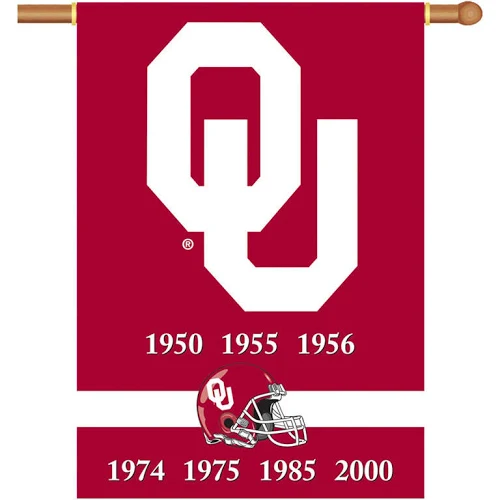 The officially licensed banner is brightly decorated in the team colors and proudly displays the official team graphics on both sides.